PwC Tanzania invites applications from qualified candidates for the following position:- Procurement and Supply Management (PSM) Expert for Health Products. A Graduate Degree (MSc. equivalent) in: Public Health; Pharmacy; Medicine; or other related discipline. Professional training and qualification on procurement and supply management. Must have good written and spoken English and Swahili languages. Closing date: Friday, 26th April, 2019. © 2019 PricewatertihouseCoopers Limited. Ail rights reserved. In this document. 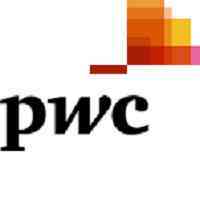 “PwC” refers to PricewaterhouseCoopers Umited which is a member firm of PriceWaterhouseCoopers International Limited, each member firm of which is a separate legal entity.